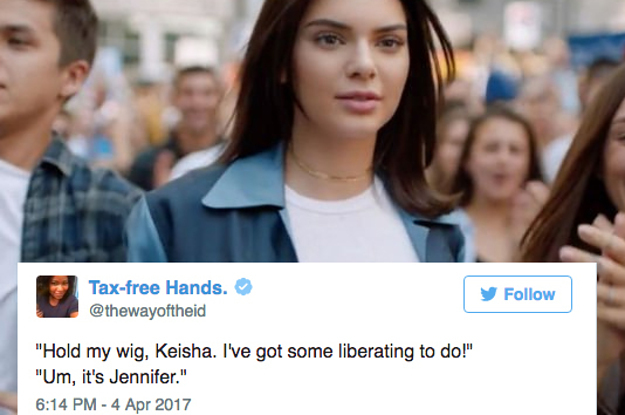 Brand Pepsi fell flat this week with its bafflingly tone-deaf ad featuring Kendall Jenner, but in the wake of a public relations backlash, the brand did at least one thing right. After Twitter lit up with nasty tweets and late-night comics poured on scorn, Pepsi reacted quickly. Its response was so simple, sensible, and honest that it makes you wonder why more companies can’t seem to do the same. It admitted the that the spot fizzled, apologized, and promptly pulled it. What might have been a lengthier drip, drip of toxic social mockery ended with the ad. Sure, there are the PR post-mortems and the ad agency schadenfreude disguised as “learnings” (the ad was created in-house), but for Pepsi’s brand reputation, the worst is over. What was the brand thinking in creating the spot? That’s harder to figure, but we have to take them at their word, which was that they were going for a “global message of unity, peace and understanding” in an environment that is by any account difficult and divisive. That part they got right. Not that Pepsi’s off the hook entirely. The commercial’s utter genericism and soft-focus take on social justice made it look deeply inauthentic. Because the “protest” featured was so bland (the signs read, “Join the Conversation”) and the impeccably styled crowd looked fresh from a fashion casting call, it lacked the true edginess that might have made it controversial, but valuable. Instead, it seemed to trivialize real political and social activism. To add insult to injury, the final frame, in which Jenner hands a can of Pepsi to a (subtly hot) young police officer, seemed to parallel the very real incident captured in an iconic photo of a Black Lives Matter protest. 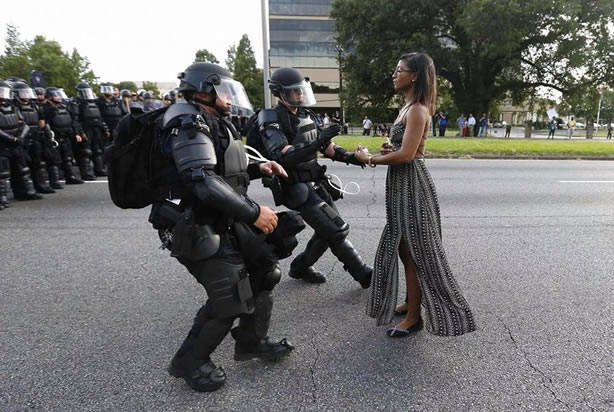 The image, taken by Jonathan Bachman for Reuters, depicts protester Ieshia Evans, standing tall and dignified in a flowing, feminine skirt as she was arrested by police in full riot gear. Any comparison between the two images, to say the least, was not flattering to Pepsi. But the brand’s fast reaction was a timely reminder of the value of a sincere public apology. 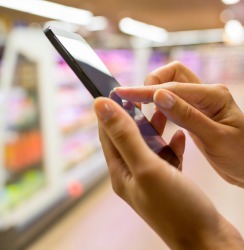 Companies shouldn’t need to be reminded, but the authentic mea culpa is rare lately. Pepsi’s statement struck the right notes. It acted quickly. Given the ad’s obvious cost, it must have been tempting to delay action in the hope that the furor might subside. Killing your darlings is hard. But an hour is like a week in today’s news cycle. A slower decision would only have prolonged the pain, and Pepsi was smart to recognize that fact. It accepted responsibility. At no point did the brand challenge those who criticized, suggest they might be overreacting, or point fingers at anyone but their own team. The statement even included an apology to Kendall Jenner, which was unnecessary, but a classy touch. It admitted the mistake. Pepsi listened to its customers, as well as its loudest critics, and didn’t try to salvage the ad or fight for it. It agreed that it “missed the mark.” Other than the explanation about global unity, it simply confessed the error and pledged to do better. In most cases, that’s all people need to hear in order to cut you some slack. It “fixed” the situation. One rule of good reputation management is to “fix” or solve a potentially damaging problem, or pledge to do so as quickly as possible. Often this is the toughest part, because under some circumstances it could involve a product recall, reformulation, or termination of a key executive. In this case the fix was expensive, but highly doable. The ad’s final chiron slogan includes the line, “Live Bolder.” But the best, and maybe boldest, thing Pepsi did was making the decision to pull the ad, cutting its losses but preserving the credibility to try again in the future.